Johns Hopkins Medicine released a video that includes a patient testimonial from 21-year-old Tabatha who was admitted to their stroke center. The video blends patient and clinician testimonials to tell her story while promoting the Johns Hopkins Medicine Stoke Center. Watch now. Mayo Clinic is using video to promote their hospital’s cardiovascular care, orthopedic surgery, and neurology and neurosurgery departments. The videos use a blend of patient testimonials and clinician interviews filmed throughout the hospital. The faculty boasts their past accomplishments and ground breaking programs accompanied by stunning b-roll. Watch now. AstraZeneca released a video about their contributions to personalized healthcare and the benefits it can deliver. The video serves to show the world about the company’s new collaborations with Abbott’s diagnostic division and Montreal Heart Institute, a world leading genomics center. Watch now. Blue Cross Blue Shield of Massachusetts has compiled a list of resources for soon-to-be mothers. 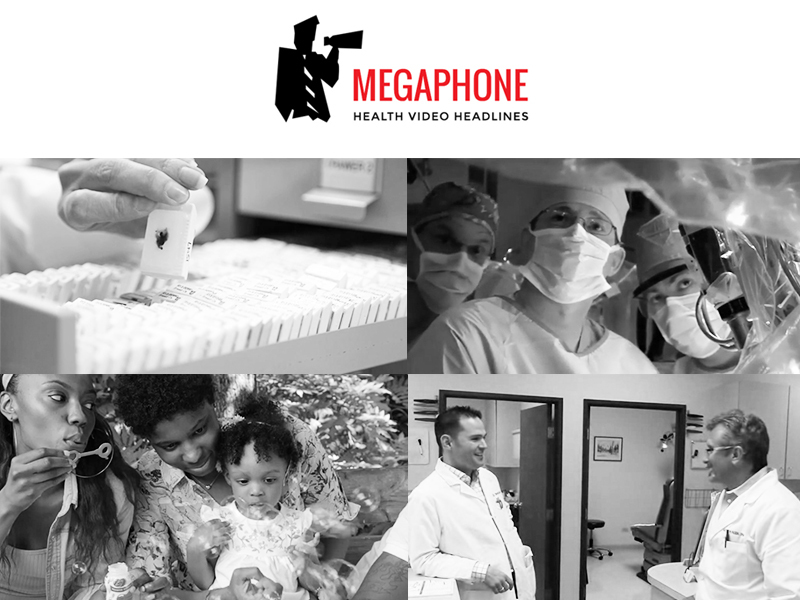 Resource videos include “Exercise During Pregnancy” and “Labor and Delivery.” Learn more. Rocky Mountain Foot and Ankle Center in Colorado launched a new website which incorporates videos to educate its prospective patients. The videos are resources for those suffering with heel pain, bunions, ingrown toenails, as well as patient testimonials. Watch now. The support group setting for videos is one of Dramatic Health’s signature styles. The support group setting provides a natural, intimate, and unscripted filming experience that can educate and inspire.